help the European hightech industry to gain a leading position in personalised smart machines by providing significant improvements in quality and stability during early product roll-out. 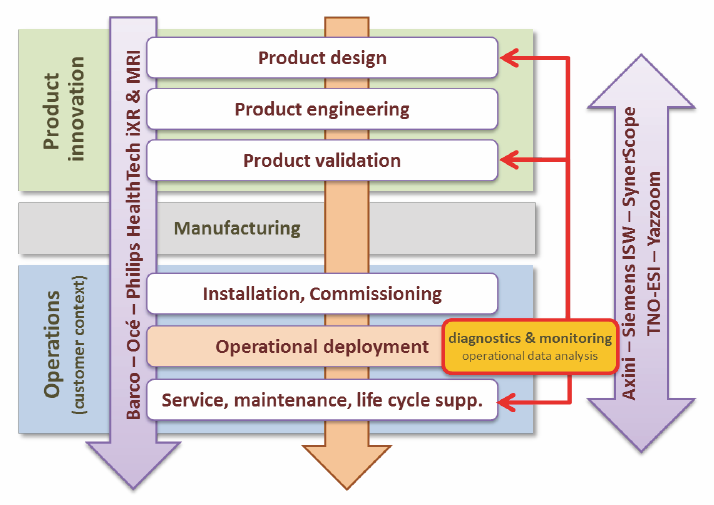 The results will include the ability to react to unforeseen problems or emerging needs in a speedy and cost-effective way by augmenting products with a layer of data sensing and data-analytics to quickly infer ‘missed’ or ‘misunderstood’ end-customer requirements; detecting issues that escape product release testing and product items that need service and maintenance attention. This knowledge is used to further improve the product. If you have any question about this project, don't hesitate to contact us or download the Reflexion﻿ project profle below.